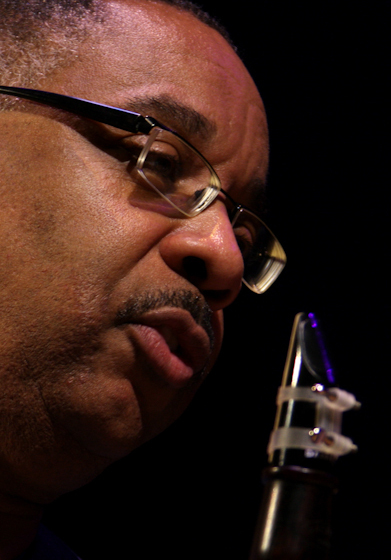 Michael White is a native of New Orleans, the birthplace of jazz. He had family ties to early exponents of that music but took his early inspiration from an aunt who played classical clarinet at home. 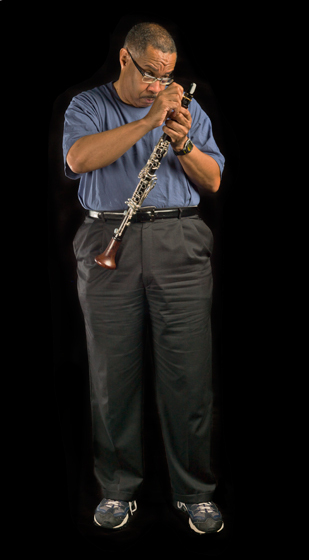 He took private lessons for 3½ years and played in the band at St. Augusta High School. While he was in college, studying Spanish, White began listening to recordings of historic jazz and attending performances. He joined the brass band led by Ernest “Doc” Paulin and played in funerals and parades and for social clubs. About four years later, he joined the musicians’ union and went on to play with a number of musicians born in the late nineteenth and early twentieth centuries. 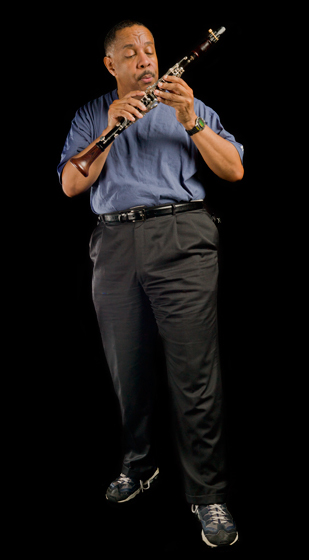 While teaching college Spanish for more than twenty years, White remained active musically, becoming a highly respected performer, music educator, bandleader, composer and historian. Hurricane Katrina inundated his home in the Gentilly district of New Orleans, near the London Avenue Canal, destroying his collection of documents, records and artifacts such as a clarinet mouthpiece used by the great musician Sidney Bechet. 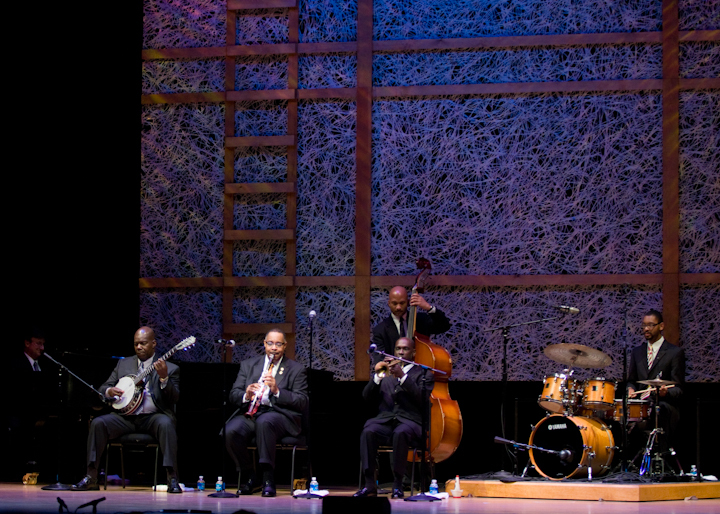 Though he acknowledges the storm’s impact, White told an interviewer, “Jazz is so much a part of New Orleans that it’s not going to completely disappear. One thing I’m excited about is that Katrina has created some new opportunities for musicians who hadn’t played together before. 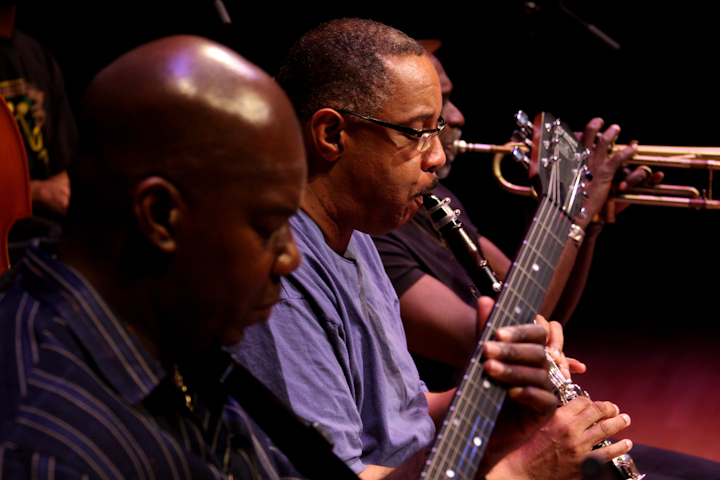 I think there’s a higher consciousness among the musicians here that we have something really special, and we’re forging new relationships in an effort to try to deal with our jazz heritage.” In the storm’s wake, he began working with a young brass band, the Hot 8, teaching its members the music’s history and its traditional repertoire. Berry, Jason. “New Orleans Brass Band Revival.” Reckon (Premier Issue) 1.1&2 (1995) pp:29-39. Denison, Paul. “’Louisiana Gumbo’ offers spicy fare.” The Register-Guard (August 22, 1997). Gayford, Martin. “Hip to this unique talent.” The Daily Telegraph (August 31, 1991). Watrous, Peter. “Pop/Jazz: Improvising That Evokes New Orleans.” The New York Times (January 3, 1992): C3. Wyckoff, Geraldine. “Michael White: Trad is Today.” Jazztimes (June 1991): 22+. Adventures in New Orleans Jazz, Part 1. Dr. Michael White. Basin Street Records, 2011. Adventures in New Orleans Jazz, Part 2. Dr. Michael White. Basin Street Records, 2012. A Song for George Lewis. Dr. Michael White. Basin Street Records, 2000. Blue Crescent. Dr. Michael White. Basin Street Records, 2008. Crescent City Serenade. 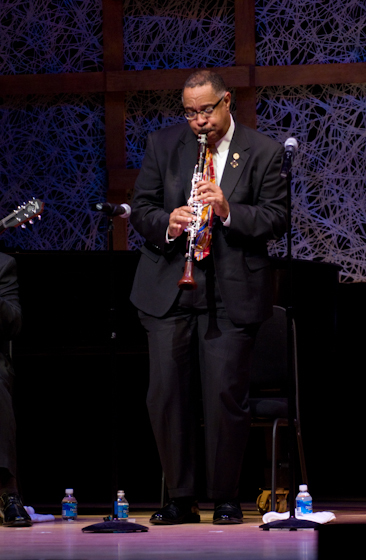 Dr. Michael White, featuring Wynton Marsalis. Antilles Records, 1991; Verve Records, 2014. Dancing in the Sky. Dr. Michael White. Basin Street Records, 2004. Dr. Michael White in a Tribute to Mr. Johnny Dodds. 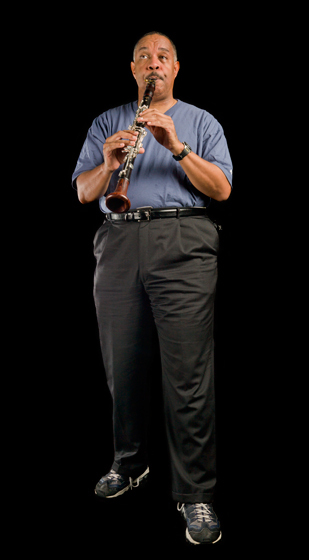 Dr. Michael White with the Blue Clarinet Stompers. Jazz Crusade Records JCCD-3052, 2000. 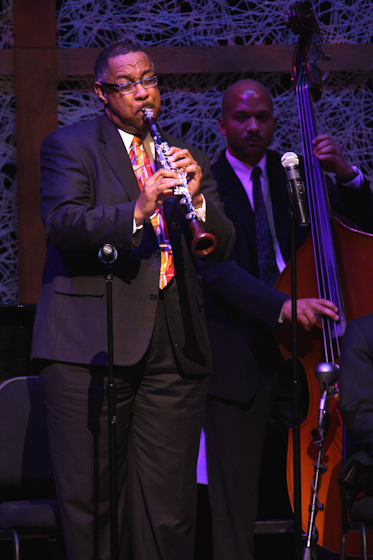 Dr. Michael White: New Year’s at the Village Vanguard. Antilles Records, 1992. Jazz From the Soul of New Orleans. Dr. Michael White. Basin Street Records, 2002. Jolly Reeds & Steamin' Horns. Excelsior Brass Band, including Dr. Michael White. GHB290, 1999. Michael White's New Orleans Music: Shake It & Break It. 504 Records CDS6, 1996. Songs of New Orleans. Preservation Hall Jazz Band, including Michael White. Preservation Hall Records, 2005, two CDs. The Majesty of the Blues. 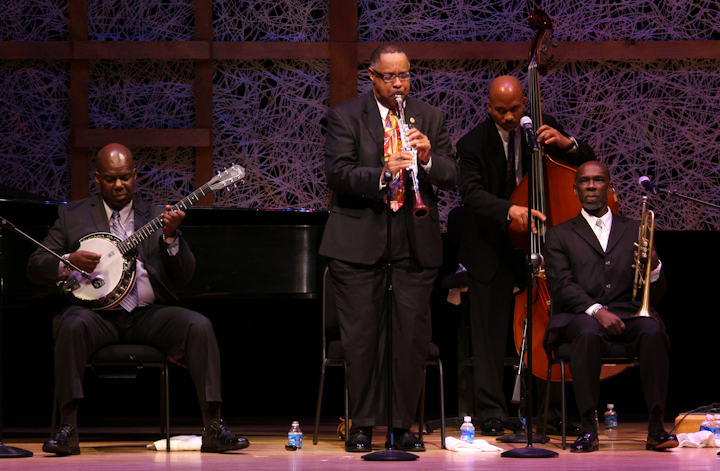 Wynton Marsalis, featuring Dr. Michael White. Columbia Records, 1989, vinyl album.